Dr. Mahnaz Heydari completed her undergraduate studies at the University of California, Berkeley with a degree in Molecular Cellular Biology. She received her Doctor of Dental Surgery at the University of California, San Francisco. 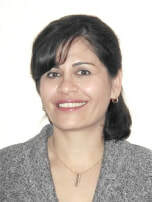 Dr. Heydari began her professional career providing dental care for adults and children in a private practice in East Bay and at La Clinica De La Raza in Oakland and Vallejo. At La Clinica she developed her commitment to children who face economic and cultural obstacles to essential dental care. Dr. Heydari participated in several outreach programs in Solano County where she provided dental care for low-income and uninsured children. Dr. Heydari received the outstanding employee award from the Community Clinic Consortium; she also received a certificate of special recognition from Congressman John Garamendi for her dedicated work in providing oral health. The six years she provided dental care for children and young adults at La Clinica helped form Dr. Heydari’s commitment to pediatric dentistry. In 2012, Dr. Heydari returned to postgraduate school and completed her pediatric residency at the Lutheran Medical Center-Rady Children’s Hospital in San Diego where she also served as the chief resident. Since the completion of her pediatric dental specialty training, Dr. Heydari has been treating children at UCSF Benioff Children’s Hospital in Oakland, and La Clinica. She is also proud to have joined the Solano Smile Orthodontics and Pediatric Dentistry’s group practice. Other than pediatric dentistry, Dr. Heydari’s interests include Persian calligraphy, painting, and hiking. Being out in Nature has always been a source of pleasure and peace for her. She also enjoys exploring different restaurants and watching movies. Dr. Heydari has a son who is currently pursuing his undergraduate studies.